Defacement explores the idea that we must kill our darlings to make way for the new, especially in the case of art. Centered on the Situalitionalist movement that questioned what it means to vandalize, mimic, and reinvent, this show includes painted-over photographs, shredded manifestos, and one artist’s documentation of police-seized art. At The Club in Ginza Six thorough August 31. The Ryukyu Kingdom of present-day Okinawa flourished as a center of culture and trade from the fifteen through nineteenth centuries. Suntory Museum of Art’s The Ryukyu Kingdom: A Treasure Chest of Beauty showcases an extensive sampling of its gems, including bingata stencil resist-dyed fabrics, rare Ryukyu paintings, lacquerware, and royal artifacts. Until September 2. Ryusuke Fukahori does a particular thing exceptionally well: he creates what look like three-dimensional goldfish from layers of paint and resin. Hiratsuka Museum of Art in Kanagawa presents his first major museum show, displaying some 200 of his fine-finned tromp l’oeils. Fukahori will give painting demonstrations and workshops throughout the exhibition period, so be sure to check the museum schedule to catch a master at work. Ends September 2. 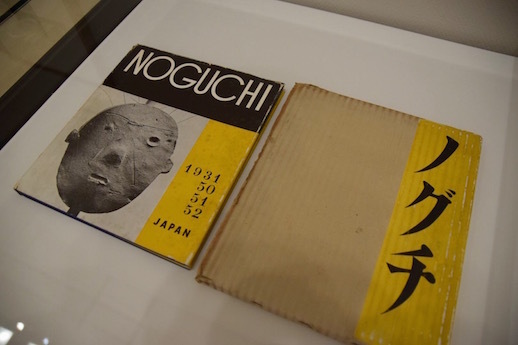 If Tetsuya Noguchi is to be believed, the samurai days were not all adrenaline and valor. From Medieval with Love at Pola Museum Annex presents around 50 of his miniature bushido with the blues. Depicted in painting and sculpture, they frequently slump listlessly in full armor, as if fending off ennui is actually their greatest battle. Through September 2. “At a moment when we seem to be drawn to alliances with apocalypse and ruin, Harrison has entered into a collaboration with fallen civilizations and deformed things.” The assemblage artist makes her debut in Japan with House of the Dolphins at Rat Hole Gallery, presenting painted wooden pieces juxtaposed with photographs of sculptures from Delphi. Like many contemporary art shows, this one’s likely to frustrate the visitor in search of appeasing beauty or meaning, but look closer – Harrison is serving us up a canny kind of cultural detritus. Until September 2. In need of a summer outing? Outdoor Fun! From Picnics to Skateboards at Ichihara Lakeside Museum in Chiba features cutting-edge contemporary art by the likes of Chim↑Pom, graffiti artist snipe1, and street culture purveyors Everyday Holiday Squad as well as fishing, climbing, crafting and other events on the museum’s lakeside grounds. Ends September 17. Admission discounts with MuPon. Kunie Sugiura is an underappreciated photographer finally getting her due with a retrospective at TOP Museum. Since the 1960s she has continued to expand the experimental potential of the medium, working with photograms, fish-eye lenses, spliced negatives, and blended elements of photography and painting. A wide cross-section of her work traces its transformations over more than 50 years. Through September 24. Isamu Noguchi: From Sculpture to Body and Garden looks at how the artist and designer’s diverse practices intersect. Focusing on the relationship between the body and his art, the show displays around 80 examples of his work ranging from landscape design to lighting pieces to ceramics. Don’t miss Noguchi’s early “Peking Drawings” series of calligraphic strokes overlapped with the human form. Until September 24. Admission discounts with MuPon. Bento–Design for Eating, Gathering and Communicating at Tokyo Metropolitan Art Museum lets you feast your eyes on bento-themed art, animation, social projects, and other creative endeavors toasting the culinary and cultural merits of Japanese boxed lunches. Special displays of antique and international bento boxes demonstrate how their design has evolved and spread around the world. Ends October 8. Light is artist Rei Naito’s material of choice. While the Venice Biennale representative is best known for her “Matrix” structure combining light and groundwater in a meditative space at Setouchi’s Teshima Art Museum, she also works in sculpture and installation. With On This Bright Earth I See You at Art Tower Mito in Ibaraki, she asks us to contemplate the question “Is our existence on the Earth a blessing in itself?” The jury is still out, of course, but if Naito’s other sun-shot works are any indication, this show likely leans toward a “yes.” Until October 8.